numbered on label on verso. «My project is about learning to listen to difference, difference in shadows, microcosms, and sensitivity. Listening with the eyes, listening to changes in tone, difference of color. The work is not a personal indulgence, it is about making sense through the medium of aesthetics.» To shoot her film for Documenta11 Zarina Bhimji returned to Uganda after living in London since 1974 to confront the impossibility of coming to terms with what has happened. 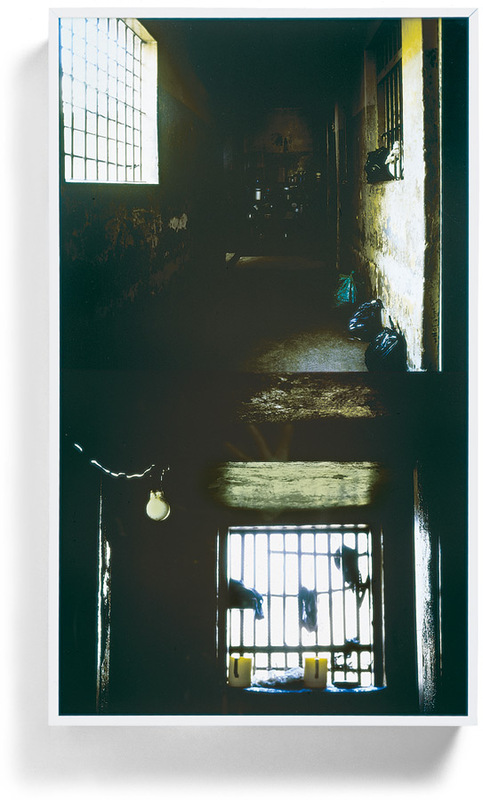 She took photographs of architecture, airports, graveyards, military barracks, police cells and prisons left over from the time of Idi Amin´s regime of terror. Both real and imaginary, emotionally saturated with their original reference, these representations are always fragments, pieces of a labyrinth of displacement.